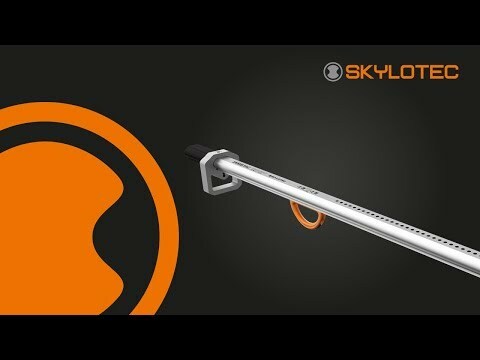 When things go wrong 300 feet in the air, the SKYLOTEC DEUS 3300 provides a quick, simple way to get yourself or another person down safely. Pocket sized so you can carry it with you, the DEUS 3300 is easy to use - just anchor and go. Descent is HANDS FREE or managed via precise control dial with Stop-Go-Speed function, even with heavy gloves. It is built for safety, with multiple redundant brakes and speed limiting technology to guard against free fall. Because the DEUS 3300 operates in both directions, multiple people can be evacuated with only one device and without re-rigging. Plus, ropes can be replaced easily so you can use different ropes for different tasks. Also available in a preconfigured Self-Rescue Set (SRS 3300, Art. No. SET-341).